Don’t forget to get your copy of BEST this week. 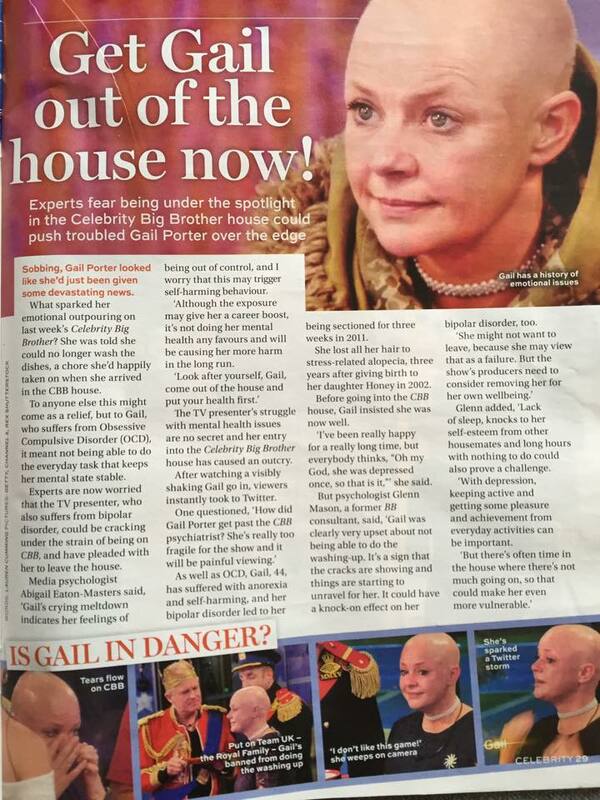 Do you think producers should consider taking Gail out of the Celebrity Big Brother House for her own well-being? I offer some thoughts around this to Best Magazine. 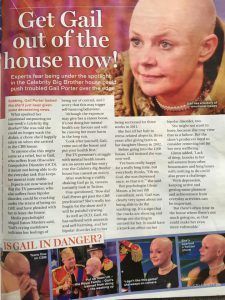 I’ll be talking about the potential impact of Celebrity Big Brother UK on Gail Porter. There has been lots of talk on social media about whether she made the right decision going into the house.